Kata Tjuta, is also called “Kata Joota”, and also famous as “Mount Olga” or colloquially as “The Olgas”, are a group of large domed rock formations “bornhardts” cover an area of 21.68 km2 located about 365 kilometers southwest of Alice Springs, in the southern part of the Northern Territory, central Australia. 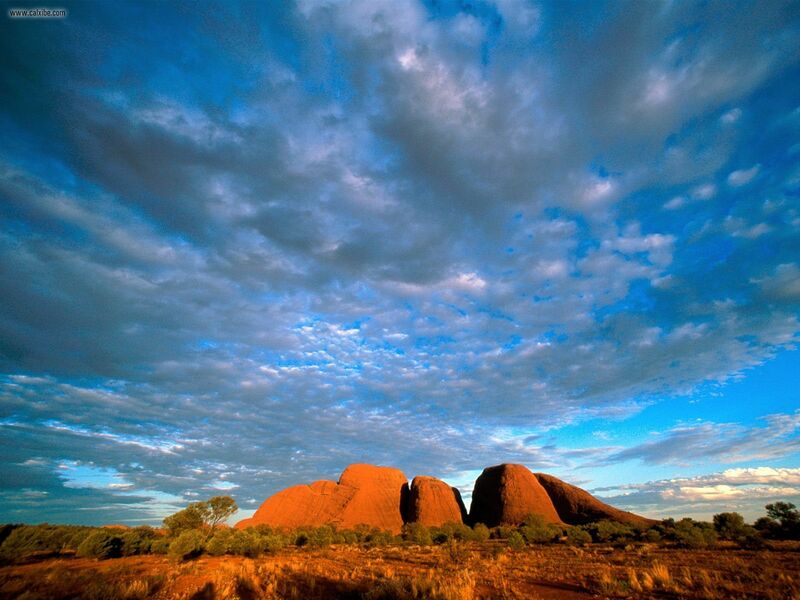 Both Uluru, and Kata Tjuta / Mount Olga form are the two major landmarks within the Uluru-Kata Tjuta National Park. The majestically beautiful 36 domes that made up of Kata Tjuta / Mount Olga are composed of conglomerate, a sedimentary rock containing of cobbles and boulders of varying rock types as well as granite and basalt, cemented by a matrix of sandstone. 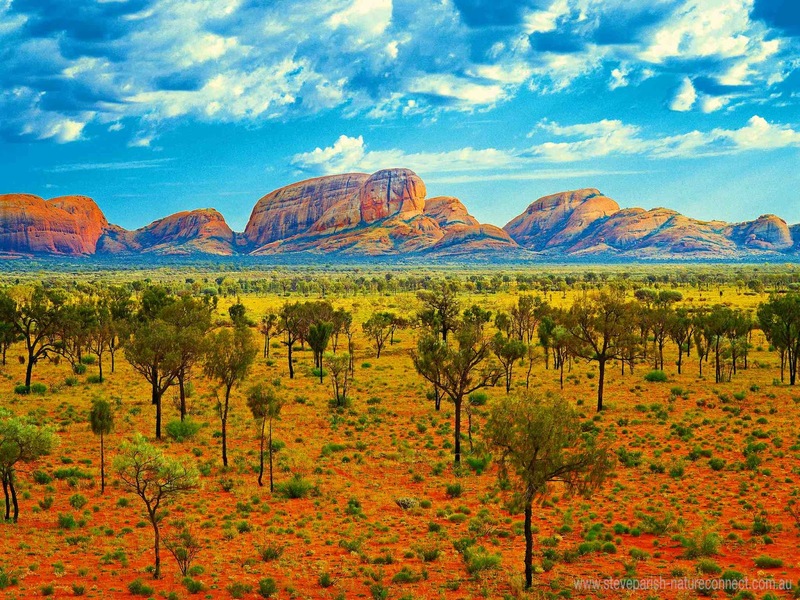 Moreover, the alternative name, “The Olgas”, comes from the tallest peak, Mt. Olga, which is, highest point is 3,497 feet above sea level. In 1872, Mt. Olga was given name by Ernest Giles in the honor of Queen Olga of Wurttemberg. In 15 December 1993, a dual naming policy was adopted that allowed official names both traditional Aboriginal name and the English name. 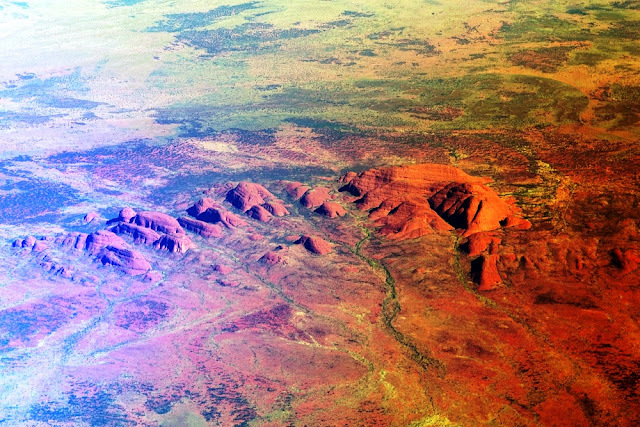 As a result, Mount Olga was renamed Mount Olga / Kata Tjuta. However, on 6 November 2002, the dual name was officially reversed to Kata Tjuta / Mount Olga. The region organized an event known as the Woodroff Thrust, thrust granulite facies rocks northward over low-grade metamorphic rocks. The ultimate erosion of the formation resulted in a molasse facies, or deposition in front of rising mountains, though in this case the Petermann Orogeny, to make the deposit recognized as the Mount Currie Conglomerate. The Mount Currie Conglomerate is made up of predominately of basalt, granite porphyry, gneiss and volcanic rock fragments with a matrix composed of angular quartz, microcline and orthoclase among other minerals. Anangu are the traditional owners of Uluru-Kata Tjuta and the land around and they have been at this place from unidentified time. Although Anangu people have connected to the area for thousands of years and some historical records advice they may have been there for more than 10,000 years. They have always known that this is a very special place. There’re “Many Head” the huge rocks are separated by steep-sided gorges and valleys. Walking tracks lead around the area to lookouts, waterholes and picnic areas, while the main trail, Valley of the Winds, is a 7.5-km loop. 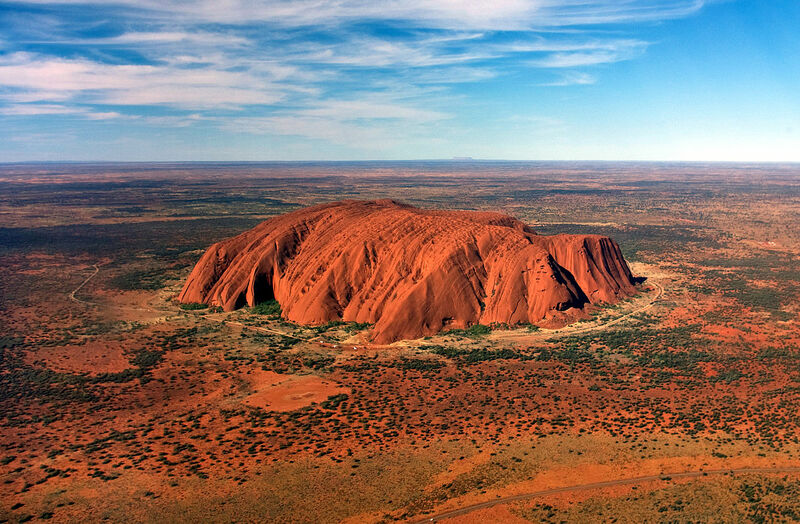 Uluru-Kata Tjuta National Park is so-called Red Centre of the continent and is a UNESCO World Heritage area. Both Uluru “Ayers Rock” and the Kata Tjuta “Mount Olga” are made of sediment originating in this Mount Currie Conglomerate and both have a chemical composition alike to granite. Scientists predict the rock dating have been given it an age of 600 mya, matching the date of the Woodroof Thrust event. Therefore, the actual fresh rock that makes up the Kata Tjuta / Mount Olga and Uluru / Ayers Rock are medium to dark gray with green or pink hues in some laminae. 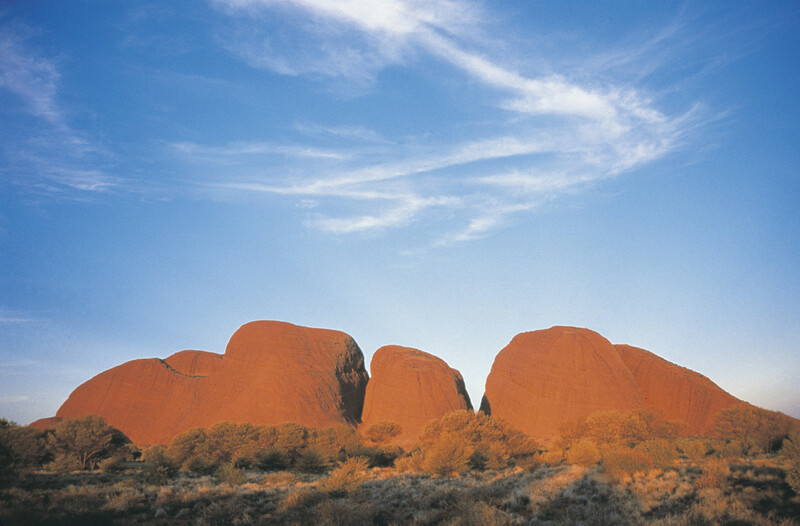 The bright orange-red hue, for which the structures are noted, is due to a patina over finely divided feldspar coated in iron oxide.There are several Pitjantjatjara Dreamtime legends accompanying with this place and undeniably everything in the vicinity including, of course, Uluru / Ayers Rock. A vast number of legends surround the great snake king Wanambi who is said to live on the summit of Kata Tjuta / Mount Olga and only comes down during the dry season. The majority of mythology surrounding the site is not unveiled to outsiders in particular to women. As is the custom, should women become identified to the "men's business" they are susceptible to violent attacks, even death. 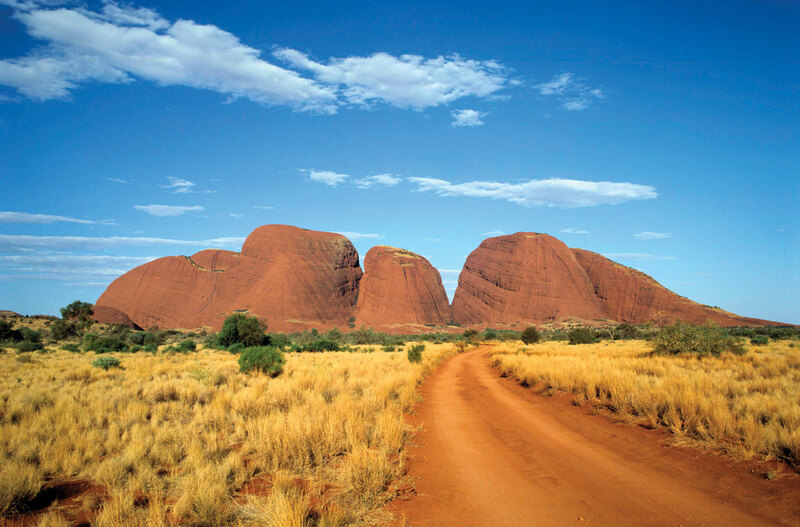 Kata Tjuta / Mount Olga can be accessed via Ayers Rock Airport. It is then a 55 km drive south, then west. Tourists have to pay National Park entry fee. The park is protecting hundreds of plant species, 24 native mammal species and 72 reptile species. 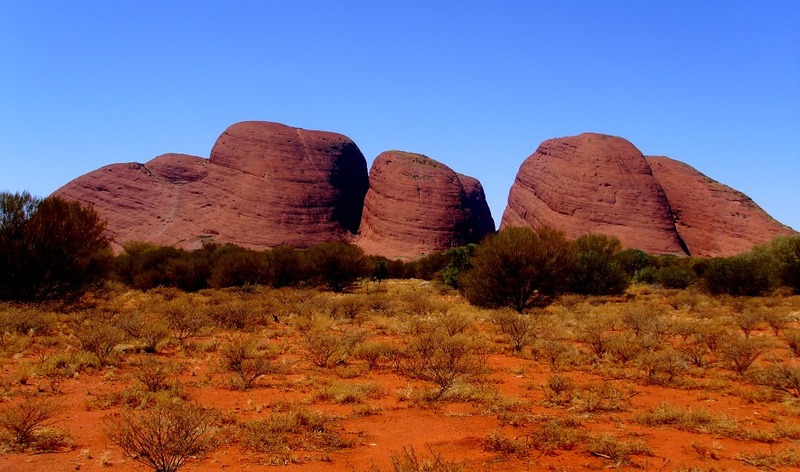 To protect these, off-road access away from Uluru and Kata Tjuta is not allowed. 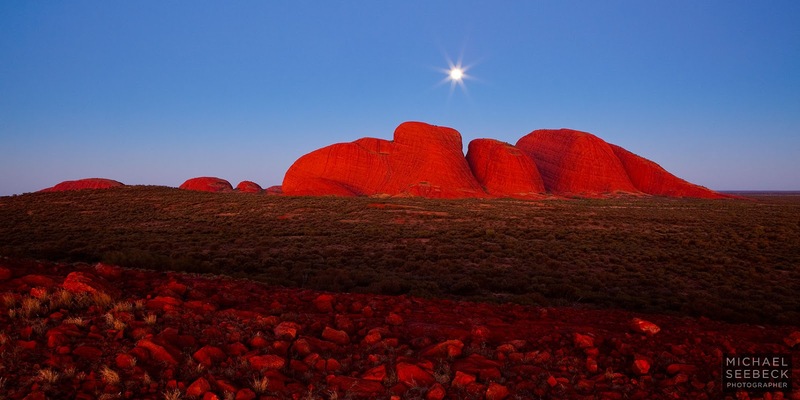 Kata Tjuta is most beautiful when viewed at sunrise or sunset. 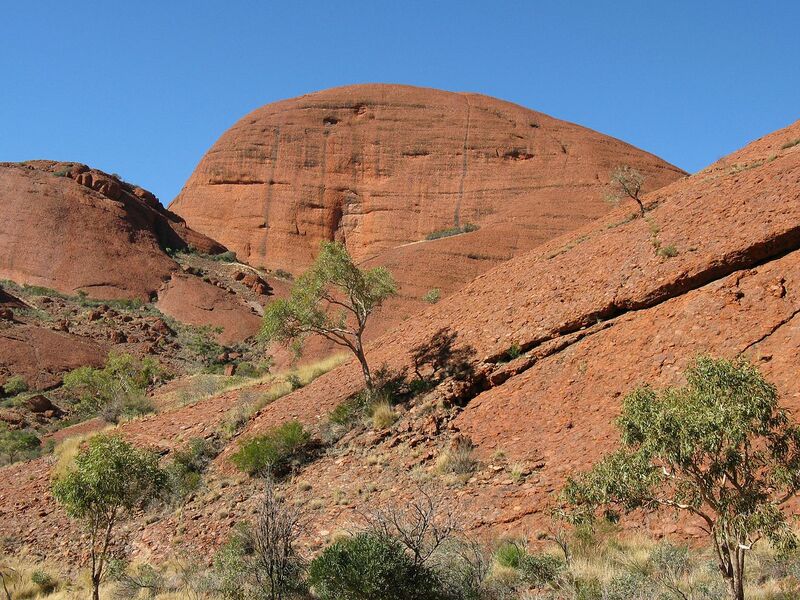 If you’re after some serious adventure, you can even grasp how incredibly ancient and strangely imposing Kata Tjuta is by tackling the moderately hard Valley of the Winds Walk. It is highly suggest to walk early in the morning as it makes a much comfortable. Therefore, if the climate is suitable for walks then visitors are allowed to walk, hence if temperature is 36 degrees or more, then walk is closed from 11am at the Kalpa lookout. So, early morning walk is best to avoid disappointment. If the temperature is due to be 36 degrees or more then this walk is closed from 11am at the Kalpa Lookout, so get there early to avoid disappointment. Another 2km walk that is available is the Olga Gorge Walk (Tatintjawiya), which walks into the beautiful gorge. 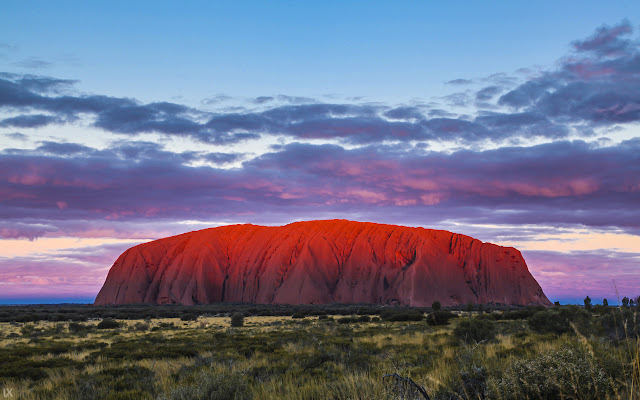 The nearest accommodation to the Olgas would be at the Ayers Rock Resort, where there is a range of accommodation to suit all tastes and budgets. There's a picnic and sunset-viewing area with its glorious, blood-red best at sunset.